The model and aspiring actress is allegedly upset that the 15-year-old is being left to fend for himself in Katherine Jackson's Calabasas home. 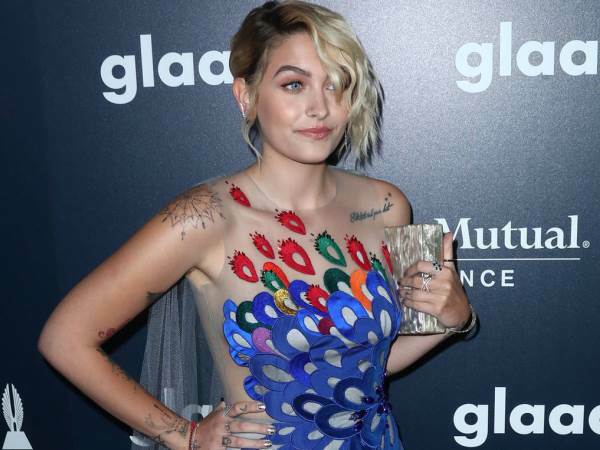 Paris Jackson has reportedly voiced concerns over the welfare of her little brother Blanket who is "living alone" at his grandmother's estate in California. According to editors at TMZ the model and aspiring actress is allegedly upset that the 15-year-old is being left to fend for himself in Katherine Jackson's Calabasas home after his 86-year old grandmother has reportedly not returned to her house since January after leaving for London. Blanket’s cousin Tito Joe ‘TJ’ Jackson, 38, and his grandmother were appointed the children's guardians following the death of pop legend Michael Jackson in 2009. It's thought that TJ has been taking turns to supervise Blanket, real name Prince Michael Jackson II, with his wife Frances. Katherine has reportedly been receiving medical treatment in London while staying with daughter Janet, who recently became a mother. However, despite being compelled to return to America to testify as part of her elder abuse case against her nephew Trent Jackson, she has not returned home. Since returning ahead of the court hearing which is scheduled for 25 April, she is reported to be staying with the eldest child, daughter Rebbie, 66, at her home. TMZ reports that Paris is worried that the teenager is not spending enough time in the care of close family members, and she is concerned about the influence being exerted over her beloved grandmother, who reportedly hasn't spoken to Paris, Prince, Blanket or TJ since she left for London, by family members including her aunt Rebbie. Despite his currently unsettled home life, the news outlet reports that Blanket is practically a straight A student at his private school and has grown into a sociable teenager.